Addiction to drugs stirs up many feelings in one’s body, though the most common emotion people who are addicted experience is fear. To addicts, there is nothing important in life than the substance they use. Hence, the thought of giving up such a vital element in their life comes with many questions which have no answers to them. Addicts believe that once they stop taking the drug, they will only experience negative effects, thus they fear addiction recovery. They fear the outcomes and not what is really happening to them at that moment. Fear can have negative consequences on the recovery process, but specialists assist one in coping up with it medically. When individuals depend on alcohol and drugs, it doesn’t imply that their challenges in life are over, but they will still have to face all ups and downs in life like any other person. The only difference is that alcohol and drug addicts will be able to fake reality or worsen their situations by the drug. What is fear? You can only describe it well when you experience it, describing it in words can be difficult. It ranges from emotions of uneasiness to total and overpowering anxiety. It can lead to stress, and it relates to your worries about the future. Fear can be described as a distressing feeling which is triggered by the thought of impending pain or danger. The arousal of the emotions can be either real or imaginary, and it may or may not occur. For example, if you come across a snake, you will be likely to experience strong fear based on a danger that is real. On the other hand, when you think of recovery from drug addiction, you experience fear based on the potential negative impacts such as becoming miserable without the substance; that is based on an imaginary thought. Your mind creates scenarios of what could happen if you stopped taking that drug, your brain transmits that signal, hence you are left feeling tensed of the future life. In instances when individuals fear, they may get into panic mode and may not be able to act. Meaning they may not think well or be able to make the right decisions. Fear can be a negative feeling, but it is helpful as it can keep a person out of risk. Feelings of fear arise when you contemplate treatment and the journey to recovery or how you would feel without consuming the drug. An addict worries about staying without their drug of choice, which has become part of their life. They believe that life with no drugs is boring and dull. One may get fretted about losing things and people such as your loved ones, job, assets or even money. Although drugs and alcohol consumption gives you a feeling of familiarity. Addicted people feel normal and good even if those close people to them are affected health wise. Drug use or abuse can aid individuals in avoiding whatever real things are happening around them, thus making you happy even in unhappy and odd circumstances. When you stop taking the drug, you may experience negative feelings since the security blanket is pulled away. Besides the detrimental effects of addiction are strong, but the fear of the outcomes after you stop taking your drug of choice is often stronger. The thought of dealing with life trials without depending on the drug or alcohol is a very traumatizing factor. 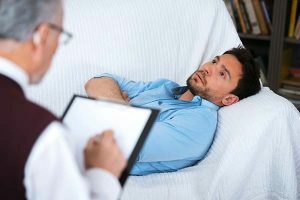 A drug addict is always certain of how they feel when they consume the substances, but now one doesn’t have an idea what to expect from the treatment or recovery process. Whether you are still in the stage of deciding if you should seek treatment, or you are already in the process, emotions of fear are highly expected. Although it is normal to fear, it can affect your recovery process. Accepting that you are scared and taking the right measures helps you in the fight against addiction. Though fear is harmful during the recovery process, some amount of it is useful in some situations. For example, fear can keep you out dangers and other risk circumstances. Also, fear is an inspirational tool that can motivate you to make changes in your life. For instance, the fear of being dumped by a partner, the fear of suffering a health complication, fear of losing custody over your children, and many other fears which are positive, may prompt to seek treatment in rehab. When you experience fear, you can feel like you are paralyzed and hence making any right decision about your life can be difficult. The fear is strong, and it might convince you that seeking treatment is not the right action, hence failure to take any meaningful steps. Failing to take the right measures during recovery, delays one in getting the right attention they require and might worsen the situation. Keeping on contemplating whether to seek and waiting for treatment, puts you at a more risk of harmful health effects of the drug use. The longer the period of addiction, the more challenging it is to recover; so, it is not late now, it will never be late when it comes to doing the right thing, visit rehab. When you feel fear, you get tensed and you might get into a panic mode, thus affecting the decision-making process. Drugs and alcohol use impair the function of the central nervous system, they may make it slow down or function at a higher rate. For instance, when you drink too much alcohol, the brain slows down and your reaction time slows down too and affects your judgment. Adding fear to such emotions can affect the decision of seeking medical attention to help you recover from addiction. The thought of leaving drugs is traumatizing and it arouses strong emotions. When you become overwhelmed by the decision, you might experience increased stress. The stress can impact on your physical and mental health which might interrupt your recovery process. An overwhelmed and traumatized mind due to a decision of quitting an important thing is difficult to find any reason for being happy. Fear disrupts the capability to get happiness or pleasure in somebody’s life. Drug addiction is a big problem, but that doesn’t imply that once addicted you shouldn’t enjoy what life offers. If you consistently fear your addiction habit, it might difficult to the get room for thinking positively about how to recover. The fear of how you will face life with no use of drugs, and how you will feel without taking the substance, can cause a relapse hence slowing down the progress of recovery. Feelings of fear are normal and common among st people suffering from drug addiction, but the cause may be different between people. One may worry about a certain element of the recovery process or you may experience several fears that make you hesitant in joining rehab. In some cases, the fears stick along during the treatment process, but in other cases, they vanish and come back again depending on the situation at hand. Determining the cause of your fear can assist you in overcoming it and dealing with all the feelings associated with the cause, hence a successful recovery process. Making the decision to visit a rehab for treatment of addiction, is not easy and without help, you may never seek the treatment. When contemplating the decision, many fears come along. But worry not my friend, many have been there. It is normal to experience such and there are solutions.